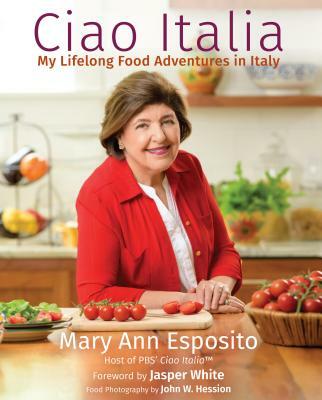 Here is some light reading for you to enjoy while you watch Ciao Italia this weekend! Zoe Cuisine: We are always thrilled when someone enjoys a simple, delicious Italian dessert, and that is the case here. An adaptation of Mary Ann's amaretti cookies was prepared at a cooking class at Boston University, and Zoe liked them so much she decided she couldn't keep all the fun to herself. The rest of her blog is interesting as well, so check it out! Asbury Park Press: Mary Ann's cooking demonstration at Toms River High School North was a smashing success! Over 1,000 people joined us for a wonderful evening, and you can relive the experience here. It's the next best thing to being there! Seacoastonline.com: Happy anniversary to the Stonewall Kitchen Cooking School! Mary Ann is honored to be among the illustrious line of chefs who have taught classes there.